Tech, just a suggestion, maybe actually releasing the original projects before using the group to spruik for clickbait trash. Might generate a bit more goodwill, even if it's a digital release. This was only supposed to go to my page. Was a mistake that it went to a group. Doesn't change my view on the release of the project, tech. PEACE. LISTEN.Pursue some path, however narrow and crooked, in which you can walk with love and reverence. 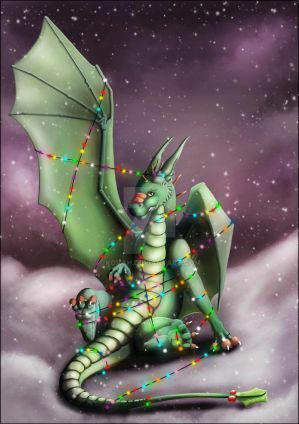 CHRISTMAS DRAGONS??? YES! DEVIANTART STYLE!! "If only these reindeer could breathe a little fire." "It is often said that my nose has a dragonesque quality to it." "Sometimes after way too much egg nog and a whole sack of gingerbread cookies; Santa has dragon breath." "Christmas shopping for my kids is always so difficult!" "If I had dragons like that Daenerys Targaryen; I would burn this whole town down." "Keep those nasty, ill tempered, good for nothing dragons away from me!" Thanksgiving - DeviantArt Style!! !The essence of all beautiful art, all great art, is gratitude. THE ULTIMATE CHOICE. Please Advise.YOU ARE NOT ALLOWED TO LIVE AS A HUMAN ANYMORE. YOU MAY CHOOSE TO LIVE AS ONE SPECIFIC ANIMAL/HUMAN HYBRID. WHICH WOULD YOU CHOOSE AND WHY? PLEASE ADVISE.